PARSIPPANY, NJ—Wyndham Worldwide has revealed plans to spin off the company's hotel business resulting in two separate, publicly traded companies. The move is the latest in a series of timeshare spinoffs by other hotel companies in previous years, including Hilton Worldwide, Starwood Hotels & Resorts, and Marriott International. Wyndham Hotel Group will become a new, publicly traded pure-play hotel company and Wyndham Vacation Ownership will be a publicly traded timeshare company, joining the Wyndham Destination Network, home to RCI, a timeshare exchange company. The company will also explore strategic alternatives for its European rental brands. The two public companies intend to enter into long-term exclusive license agreements to retain their affiliation with Wyndham Rewards, as well as continued collaboration on key inventory sharing and customer cross-sell initiatives. The corporate names of the post-spin public companies have not yet been decided, according to the company. The transaction is expected to increase the strategic flexibility of the two post-spin companies, allow each company to maintain a sharper focus on its core business and growth opportunities, facilitate future capital raising as needed for the two companies, and position each to be better able to make the changes necessary to respond to developments in its markets. Following the planned separation, both companies will have significant scale and leadership positions within their industries, strong cash flows, rich portfolios of trusted brands, and the existing relationships in place to drive attractive growth and shareholder value, according to the company. The transaction, which is expected to be tax-free to Wyndham Worldwide and its shareholders, will be effected through a pro rata distribution of the new hotel company's stock to existing Wyndham Worldwide shareholders. Wyndham Worldwide expects the transaction to be completed in the first half of 2018. Geoff Ballotti will remain president and CEO of Wyndham Hotel Group and Michael Brown will continue as president and CEO of Wyndham Vacation Ownership. Gail Mandel, CEO of Wyndham Destination Network, will continue to lead that business through this transition, and Tom Conforti, CFO of Wyndham Worldwide, will move into an advisory role, working with the company through the transaction. David Wyshner will assume the role of Wyndham Worldwide CFO and will become CFO of the hotel company upon spin. 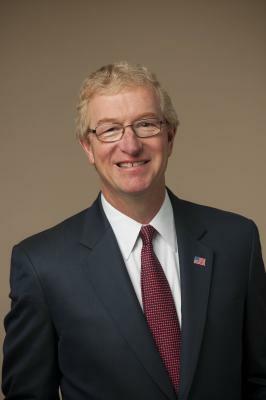 Wyshner was most recently president and CFO of Avis Budget Group, the global vehicle rental service provider, and served as Avis Budget's CFO for more than 10 years. Michael Hug will serve as CFO of the timeshare company. Hug has been EVP and CFO of Wyndham Vacation Ownership since 2005. Previously, he served as SVP and controller. Prior to joining Wyndham Vacation Ownership, Hug spent 11 years with EY.